Booking a ticket for the Thello is so simple and completely ticketless! Offering a wide pricing structure planned to satisfy different needs for any type of traveller, including promotional fares from as little as £33.00* per person, in a 6 berth couchette compartment. Group bookings are also welcome with special group fares on offer, why not contact us for a quote? - Sleepers equipped with a private washbasin in 1, 2 or 3 sleeper cabins. - 6 berth and 4 berth couchette compartments. - A complimentary welcome drink for passengers travelling in an individual and double sleeper compartments. - A full dinner with a la carte service and a wide choice of set menus. - Bar service for snacks, soft and alcholic drinks along with hot drinks. - A complimentary breakfast service free for passengers travelling in 1,2 or 3 berth sleeping coaches. 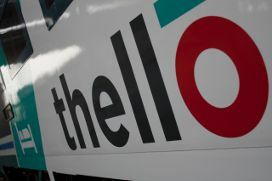 To book a Thello journey online please go here. Alternatively you can contact us via phone or email. *Price based on the cheapest non flexi fare within 2nd class in a 6 berth couchette and one way only.